The Ohio Development Services Agency, Office of Community Development (ODSA, OCD) awarded the City with a $300,000 CDBG Downtown Revitalization Program Grant. ODSA received twenty-one Community Development Program Competitive Set-Aside applications this year. Funding requests for the Competitive Set-Asides, which include Neighborhood Revitalization, and Downtown Revitalization projects, totaled $9,205,000. ODSA was able to fund eleven top ranking proposals. The Downtown Revitalization Program grant is issued to governments in Ohio to help improve Central Business Districts, help eliminate blighted structures, and assist with private-sector job opportunities. This grant will assist with improving and enhancing the quality of life for Piqua residents and downtown business owners. “The success of our downtown directly influences and impacts the health of businesses throughout the entire city. This is why the Downtown Revitalization Grant Program is so important for our community,” stated City Manager, Gary Huff. The City of Piqua is offering a grant/loan combination where grants will not exceed more than 50 percent of the total project cost. With the combination of business owner match, grant, and loan, the maximum total project cost per unit is $50,000. During the grant period 15 buildings are proposed to be rehabilitated, this number is based on the number of units the interested business owners have specified in “Letters of Interest” which were required to be submitted with the grant application. This grant will provide the opportunity for downtown business owners to proceed with a successful project. 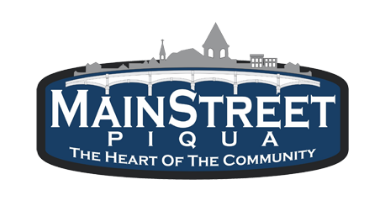 During this time Mainstreet Piqua Executive Director, Lorna Swisher, and the City Development staff will meet with the business owners who signed a “Letter of Interest” and develop a completion timeline. 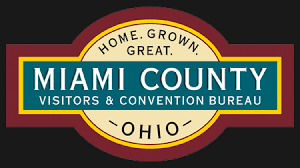 For more information, please contact Lorna Swisher at Mainstreet Piqua.